As composites take hold across the aviation industry as a way to lightweight aircraft and other structures, a NASA-led consortium is exploring ways to shorten the cycle for material development and certification—the goal being to boost competitive advantage among US manufacturers. The Advanced Composites Consortium (ACC), which includes 13 members, including aerospace manufacturers, university partners, and more recently a single software provider, conducts research focused on the accurate prediction of the strength and life of composite structures, rapid inspection of composites, and efficient development of manufacturing processes. 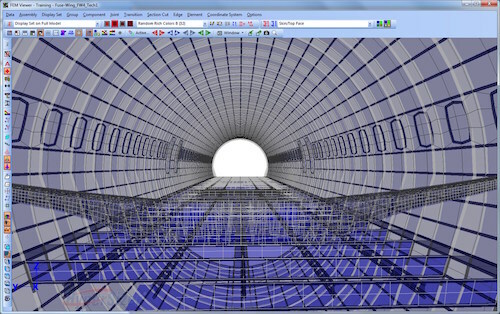 Collier Research, maker of HyperSizer optimization software, is the sole software member, committed to using its rapid design tools to explore how to shorten the now years-long process of aircraft design and development and, specifically, the structural certification analysis of composites. 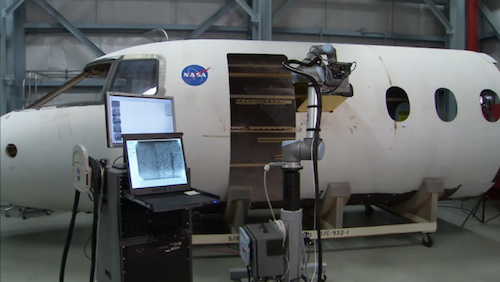 NASA’s Advanced Composites Consortium is focused on composite research and techniques to help maintain US leadership in aviation manufacturing. Image Courtesy of NASA. Using composites compounds an already lengthy product development cycle for aircraft as there are key steps involved in designing, analyzing, and testing the composites, and then equally complex practices during manufacturing—for example, the robotic automated fiber placement of the materials as well as the curing process. To certify composite aircraft at a faster pace, Collier is leading research efforts to improve these processes, particularly as it relates to analysis, design, testing, and certification. Collier’s role, in Phase 2 of the ACC’s research initiative, is to leverage its HyperSizer software framework to automate analysis methods used in predicting failure modes and in certifying composites, with the objective of streamlining the manufacturing process. Team members can plug various analyses and failure theories into HyperSizer’s stress framework, which then handles the coupling of FEA models and extracts the optimal mode that determines which laminate stacking or design is most efficient. HyperSizer performs detailed sizing and stress analysis of the internal structure of composite or metal aircraft (skins, stringers, ring frames, floor beams, etc.). Image Courtesy of Collier Research. “We’re the umbrella platform that takes all the individual plug-in methods from the different members of the consortium and glues them together to perform the optimization,” Collier explains. Phase 2 of the consortium’s work will continue into December of next year. Once completed, consortium members will gain access to the benchmarks run on real-world models, providing insights into processes that can improve performance and the quality of composite parts or the speed in which they are produced, he explains. The real deliverable, however, will be the expertise consortium members (and eventually all commercial players in the industry) will gain. “As the technology is continually advanced commercially between companies, the end product will be an American industry that has improved its ability to analyze, design, manufacture, and certify composites for aircraft—that’s the real end game,” says Collier.